Below you will find the answers to frequently asked questions. Please note: the following questions and answers relate to the period until January, 1, 2017. In April 2017, the court in Den Bosch ruled that this contribution was not agreed with residents and that Ennatuurlijk must repay the costs. The court decision applies to three residents who started a trial process in 2012 on our initiative and under our supervision. Ennatuurlijk went into cassation against the verdict of the court. On February, 3, 2018 we started with a collective action towards Ennatuurlijk. Why did I receive an offer from Ennatuurlijk for the connection fee? The connection fee has been under discussion for a number of years because according to interest representatives in various district heating districts in the Netherlands it is wrongly collected by Ennatuurlijk. Although a previous lawsuit was lost by residents in Eindhoven, residents filed an appeal. The appeal will be brought before the judge on 25 January 2017. Naturally, the decision on appeal appeals with confidence. But at the same time Ennaturally satisfied customers are very important and want to close the legal process in this way. That is why Ennatuurlijk says this offer. Stichting Stadsverwarming Eindhoven sees in the offer a partial confession of guilt that the connection fee is incorrectly charged. Why does Ennatuurlijk make an offer if it has won an earlier lawsuit and looks forward to the appeal with confidence? We can only guess at that. The fact is that residents have to decide before 1 January 2017 and the appeal will come to court on 25 January 2017. If you accept Ennatuurlijk’s offer, you sign a ‘settlement agreement’ in which you waive your right to later question the already paid membership fees (and profitability contribution). With the signing of the contract, Ennatuurlijk and the customer declare to each other that they no longer have anything to claim from each other in respect of the aforementioned cost items and that the agreements in the agreement apply. If residents are put in the right by the court and you have signed the contract, you can not reclaim the already paid membership fee from Ennatuurlijk. And of course that saves Ennatuurlijk a lot of money. Why do I have to sign a ‘settlement agreement’ to qualify for the offer? Of course, can the membership fee be reduced without my consent? Naturally, the connection fee will be reduced to zero euros within three years. She could do that without your permission. Naturally, however, it requires ‘consideration’ to sign a settlement agreement. If you sign this agreement, you waive your right to discuss the contributions that have already been paid (and the profitability contribution) later. You can not then reclaim the membership fees that you have already paid from Ennatuurlijk. If I go into Ennatuurlijk’s offer, I also renounce my right to question the profitability contribution. What is ‘profitability contribution’? According to Ennatuurlijk, the legal predecessor of Ennatuurlijk charged a so-called profitability contribution upon the completion of most homes with a district heating connection. This contribution was paid by the owner or the developer and is usually settled via the one-off connection costs (although in most cases this was not clearly stated on the invoice). 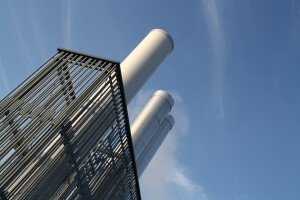 A profitability contribution can be demanded if not all energy-saving measures are implemented in the district heating house that would be required in a home that is connected to gas. The reasoning behind this is that city heating often uses ‘residual heat’ (which would otherwise be thrown away). As a result, the generation of heat in district heating is better valued (higher generation efficiency) than in a gas-fired home. The profitability contribution can ensure that a heat project is still feasible. The contribution may only be charged if a discount is given on the heat tariff (that is, the variable costs for heat use). After all, homes where less energy-saving measures have been taken have a higher heat consumption than a house where these energy-saving measures have been taken. Of course, there is no discount on the heat tariff. According to Stichting Stadsverwarming Eindhoven, this discount still has to be given. And if Ennatuurlijk does not want to give a discount on the heat tariff, then it must return the profitability contribution to residents. If you accept Ennatuurlijk’s offer, you waive your right to discuss the profitability contribution and possibly the discount on the heat tariff. That discount can be the most costly point of discussion for Ennatuurlijk. Why does Ennatuurlijk not immediately stop charging the connection fee? Ennatuurlijk states that she has agreed this way with interest representatives in Tilburg. See also the questions below regarding the district heating issue in Tilburg. Ennatuurlijk wants satisfied customers. Why does she not fully refund the already paid membership fees to her customers? With the offer of Ennatuurlijk do loyal customers effectively pay more membership fees than new customers? That’s right. If you accept the offer, the connection fee will be reduced to zero euros within three years. You will not receive the membership fees that you have paid in recent years. The longer you are a customer of Ennatuurlijk, the more connection fee you have paid. In that sense it is not a fair offer. Until when do I have the time to decide on the Ennatural offer. You have until 1 January 2017 to decide whether or not you accept the offer of Ennatural. at is your advice? Accept the offer or not? You want certainty: by accepting the offer you know exactly what you will pay in the coming years for the connection fee. You have no confidence that residents will win the lawsuit on appeal. You do not want to wait for the legal process. You have paid few years of membership fee (new residents). You do not want to give up your rights with regard to already paid membership fees (you have been heating districts for some time or will be moving soon). You do not want to give up your rights with regard to the profitability contribution. You are a tenant and you are convinced that these costs should not be charged to a tenant in any case. You do not want to be put under pressure in this way. You want to leave this matter to the judge: whoever gets right is right. Why do I pay a connection fee as a tenant? In our opinion, costs to physically connect the house to the district heating should be borne by the owner (usually the landlord). We are of the opinion that Ennatuurlijk incorrectly charges the connection fee to tenants. If I do not accept Ennatuurlijk’s offer, what are the next steps? Property owners and tenants who do not accept the Ennatural offer can count on the current legal proceedings to be continued. We are and continue to believe that the connection fee will be charged incorrectly. There are currently three trial processes on appeal. The appeal will be brought before the judge on 25 January 2017. In our opinion, residents also rightly claim the membership contribution that they have paid in recent years. The current offer from Ennatuurlijk does not provide for a refund of these costs. Also other abuses concerning the district heating with this offer are not resolved. Please note that we can not guarantee that residents will be proved right by the judge. The follow-up steps for residents with and without legal expenses insurance are explained below. Do I have to inform my legal assistance insurer about the Ennatural offer? Residents who have reported the case to their legal expenses insurer are advised to inform their insurer of the Ennatural offer. Your insurer can not oblige you to accept the offer because there is no full compensation. Please note that if you accept Ennatuurlijk’s offer, your insurer can no longer do anything for you in terms of the connection fee (and the profitability contribution). All legal expenses insurers are currently awaiting the outcome of the appeal in the ongoing proceedings. Can I still report the case to my legal expenses insurer? Residents with legal expenses insurance who have not yet reported the case to their legal expenses insurer are strongly advised to do so. Report the dispute preferably online via the website of your legal assistance insurer. We have prepared a ready-made letter. You can download this letter via the following link (in Dutch): www.stadsverwarming-eindhoven.nl/voorbeeldbrief-rechtsbijstand. Sign the letter with your name and upload the letter via the website of your insurer. Do not make any further changes to the letter. You can also first call your insurance company. Most insurers are familiar with the issue and work closely with us. Let your insurer know that we have stopped the case for you. Your insurer can request the original bouncing letter via info@stadsverwarming-eindhoven.nl. I do not have legal expenses insurance. What now? Residents who are not insured for legal assistance or who do not have coverage for the district heating issue within their legal expenses insurance policy do not need to take any action at this time. We have held various discussions with a legal assistance insurer about a collective action for residents without legal assistance or cover. For the time being, we are waiting for such collective action until the results of the appeal are known. This way we can better respond to the situation. Stichting Stadsverwarming Eindhoven has interrupted the limitation period of the claim of all users of district heating in Eindhoven by means of a bounce letter. With this, the limitation period from the date of interruption is extended by five years. For insured persons, the claim is or will be interrupted by the legal assistance insurer. Is the ‘settlement agreement’ also applicable to my previous district heating home? We have presented this question to lawyers and lawyers. They indicate that the contract is in principle based on the person and not on the address. If you sign the agreement, you also in principle also waive your right to question the connection fee (and profitability contribution) with regard to your previous home. However, the agreement is open to multiple interpretations. To avoid surprises afterwards, we have asked Ennatuurlijk for clarification. See our letter with questions (in Dutch) and reminder letter (in Dutch). Ennatuurlijk has confirmed by means of a response (in Dutch) that the agreement rests on the person and not on the address. Is the ‘establishment agreement’ also applicable to future residents of my home? We have presented this question to lawyers and lawyers. They indicate that the contract is in principle based on the person and not on the address. If you sign the contract, this does not automatically mean that future residents no longer have to pay a membership fee after three years. However, the agreement is open to multiple interpretations. To avoid surprises afterwards, we have asked Ennatuurlijk for clarification. Naturally, a response confirmed that the agreement on the person and not on the address. Why did I not receive an offer from Ennatuurlijk? Only residents who are connected to the heating network of Ennatuurlijk and to whom the connection fee is charged have received an offer. Residents with district heating in the Meerhoven neighborhoods Waterrijk and Meerrijk are connected to the heating network of the municipality of Eindhoven. It is confusing that the invoicing of the costs is provided by Ennatuurlijk. Residents of Het Groene Hof in Grasrijk are connected to the heating network of Ennatuurlijk but do not pay any contribution. That is why they did not receive an offer. Does it still make sense to stay connected to the foundation if I have not received an offer? Yes. In addition to the membership fee, there are more things at stake. See the section Wrongdoingsn. These matters may also apply to you. We advise you to stay logged in at the foundation and keep an eye on our updates. Why did residents in Eindhoven lose the court case in the first instance? The Subdistrict Court ruled that Ennatuurlijk may charge costs as long as they are reasonable, even if they have not been explicitly agreed. The Non-More-Then-Different principle (NMDA principle) is the starting point according to the judge. This means that the average annual costs for heat supply to a house with district heating may not be higher than with a comparable average household that uses a central heating boiler, fired with natural gas. The judge states that Ennatuurlijk follows the NMDA principle and may therefore charge a connection fee. Naturally, however, the membership fee is charged periodically, whereby interest is calculated and indexed annually. The judge finds that this is wringing because residents are not informed about this beforehand (ie when the contract with Ennatuurlijk is concluded). The residents should be given the opportunity to pay the membership fee at once and without additional costs and interest. However, this is a consideration of the judge and is not in his final verdict, therefore it is not enforceable. Residents in Meerhoven could not agree with the judgment and appealed. They are of the opinion that it concerns the costs that have been agreed between the company and the customer. They also have the impression that the judge has been misled by the fact that many concepts have been used interchangeably, which may have led to confusion in court. The appeal is judged by three judges instead of one. The fact that Ennatuurlijk just before the handling of the appeal comes with an offer whereby residents are asked to renounce their rights to later discuss the membership fee and profitability contribution, suggests that Ennatuurlijk is not so sure that they the lawsuit on appeal will win. What if the decision on appeal is to the detriment of the residents? If the decision on appeal is to the detriment of the residents, then that is not yet a running race. We have learned a lot of the trial processes and can start a new process in which we also take the other issues surrounding the district heating. In addition to the connection fee, the issue of the cost-effectiveness contribution also plays a role (see above). This point has not yet been included in the current test processes. If the connection fee and profitability contribution is rightly charged, a discount must be given on the heat tariff. If you accept Ennatuurlijk’s offer, you waive your right to discuss the profitability contribution and possibly the discount on the heat tariff. What if the decision on appeal ends in favor of residents? If the appeal in the appeal is to the advantage of residents, then the ruling only applies in the first instance to the three households that started the trial processes under supervision of Stichting Stadsverwarming Eindhoven. Naturally, in this case, eggs could be chosen for her money and all residents could be compensated. Ennatuurlijk residents could also make a better offer than now. However, there is a real chance that a new lawsuit must be started from Stichting Stadsverwarming Eindhoven in order to reclaim the membership fee for all other residents. In view of the precedent formation, we expect the ruling of this lawsuit to also be in favor of residents. What if losing an Ennatural? Are we literally in the cold? If Ennatuurlijk loses, that will hurt a lot at Ennatural. The question is whether they will go bankrupt. Probably one will have to restructure internally. In addition, an arrangement could also be made that Ennatuurlijk pays back the membership fee in installments. Of course with indexation and interest. In the Eindhovens Dagblad of Saturday November 26, 2016 Ennatuurlijk reports that about 500 households in Meerhoven have agreed to the offer. Is that right? We can not check that. Based on this number, approximately 15% of Meerhoven households with district heating would have accepted the offer. It is striking that a poll among the participants of the information evenings of Stichting Stadsverwarming Eindhoven showed that no one had accepted Ennatuurlijk’s offer. It could therefore also be an Ennatural strategy to attract residents in this way. Such as: many have already preceded you, so why do not you sign yet? A foundation for district heating is also active in the Reeshof Tilburge district. Why are they behind this offer? Earlier this year, Stichting Stadsverwarming Eindhoven and Stichting Reeshofwarmte were individually invited by Ennatuurlijk to discuss a settlement. During the interviews Ennatuurlijk asked us not to coordinate the discussion with the supporters. Stichting Stadsverwarming Eindhoven considers openness and transparency to residents to be of paramount importance. That is why we did not discuss the settlement proposal. Stichting Reeshofwarmte has accepted the proposal from Ennatuurlijk. This is because they expect that the legal process will probably take a long time. In addition, the municipality of Tilburg has put pressure on the dispute quickly. Stichting Reeshofwarmte is to a large extent dependent on funding from the municipality of Tilburg. Stichting Stadsverwarming Eindhoven has a completely different strategy whereby legal proceedings are initially conducted through legal assistance insurers. In the Tilburg district of Reeshof, 74% of the residents accepted the Ennatuurlijk offer. Is that right? According to Ennatuurlijk, 74% of its customers in Tilburg accepted the offer. However, the percentage has not been determined by a notary. In Tilburg, many people doubt the accuracy of this percentage. In addition, about 20% of Tilburg customers did not receive an offer. These customers have already fully paid off the membership fee for a period of 30 years. They will not receive the connection costs and would not have accepted the offer in advance. The consumer program Kassa recently paid attention to this. Also the district heating issue in Eindhoven is discussed in that program. You can watch the broadcast (again) via kassa.vara.nl/gemist/nieuws/ontevredenheid-over-stadsverwarming. Why did a majority of Tilburg residents agree with the offer of Ennatuurlijk? Apart from the fact that we are not sure to what extent a majority has actually been won in Tilburg (see above), Stichting Reeshofwarmte (Tilburg) has indicated in advance that it will stop the legal process if 70% of the residents take up the offer. Residents who actually saw nothing in the offer therefore had no guarantee that the legal process would be continued. That may have been the reason that many residents in Tilburg have signed. In addition, Stichting Reeshofwarmte promoted the offer together with Ennatuurlijk. For example, customers in Tilburg were flooded with telephone calls from a call center that was hired by Ennatuurlijk. Customers also received several reminders by mail to persuade them to accept the offer. Stichting Stadsverwarming will continue to stand up for the interests of residents who do not accept the Ennatuurlijk offer. Regardless of what Ennatuurlijk offers and regardless of the number of customers that may wish to enter, the current legal proceedings will be continued. In addition, we do not take a stand for or against. We believe it is important that residents themselves make an informed choice based on complete information that highlights both the advantages and disadvantages of the offer. In the past I was the owner or tenant of a home in Eindhoven with district heating. Does the dispute with Ennatuurlijk also apply to me? Probably yes. You probably paid too much for the district heating and can then claim compensation. See also the next question regarding tenants. I am a tenant and I am connected to district heating. Does the dispute with Ennatural also apply to me? If Ennatuurlijk charges you directly for costs then the dispute also applies to you. If the costs for the district heating are included in the rent, you have to contact the landlord about any overpaid costs. Landlords can also join the initiatives of the Stichting Stadsverwarming Eindhoven. I have not received any updates for a long time. How did that happen? Perhaps the updates have ended up in the spam folder of your mail program. It is also possible that you have changed your e-mail address, but did not pass this change on to us. Furthermore, you may not have entered the correct e-mail address during the registration process. If you did not receive confirmation from us immediately after registration (not even in the spam folder), please register again via the Signup section. Which date should I mention to the question ‘On what date did the dispute arise’? State the date on which we have called in residents to report their case to their legal expenses insurer. This date is February 28, 2016. A claim date is requested. What date do you advise to pass on? The date on which damage arose is the date on which you moved into the house and entered into an agreement with Ennatuurlijk or its legal predecessor. Incidentally, you were not at that time known with the fact that you actually suffered damage. You will be asked for the date on which I registered for the mailing list of the Werkgroep Stadsverwarming Meerhoven / Stichting Stadsverwarming Eindhoven. How do I get behind that date? After registration on our mailing list you have received a confirmation email from us. The date this email was sent corresponds to the date you signed up. Inform the insurer that on that date you could not reasonably have known that you actually had any damage but that this became clear later. If you can not find the confirmation email, please mention the date of the first update you received from us. My legal expenses insurer has approved my request to have the (advocate of the) Stichting Stadsverwarming Eindhoven act on my behalf. What now? The legal assistance insurer will contact the (lawyer of the) Stichting Stadsverwarming Eindhoven. You no longer have to take any action. We will periodically keep you informed of the progress. My legal assistance insurer indicates that she does not join the Stichting Stadsverwarming Eindhoven and handles all disputes herself. What now? As long as no legal proceedings have yet to be conducted, the legal expenses insurer may deal with the dispute itself. If a legal procedure is necessary, then as an insured legal person you have the right to choose your own lawyer. The legal expenses insurer will then call on this lawyer to conduct the legal proceedings on your behalf. Some insurers do not explicitly mention this. Ask your insurer (once again) permission to be represented by the (the lawyer of the) Stichting Stadsverwarming Eindhoven and indicate that you want to be represented by the foundation when it comes to legal proceedings. We have built up vast file knowledge in recent years. By having the case handled by a lawyer who has already been incorporated, costs are saved and it is also prevented that several separate programs will start running. My legal expenses insurer comes up with the proposal to ‘stop’ the prescription of my claim. Do I have to go into that proposal? By ‘stopping’ the claim it can be prevented that the case will lapse. Let the legal expenses insurer know that it is much more efficient if the Stichting Stadsverwarming Eindhoven hits the case on behalf of all the victims in Eindhoven by means of one letter. This is to prevent that various separate processes will start running that also differ from one another in terms of content. If the insurer does not agree with this, let the insurer stop the case on your behalf. Please note that the insurer encounters the claims regarding all the fogging around the district heating in Eindhoven and not only the claim with regard to the connection fee (insofar as this applies to you). For all misses, see the standard notification letter in which a summary of all points is given. My legal expenses insurer wants to check to what extent the claim is barred. For this, the insurer asks all kinds of information about the connection fee. Do I have to respond to this? Yes. In principle, you must provide the insurer with all relevant information. In this way, the insurer can assess to what extent the issue also applies to you. Inform the insurer that the issue does not only relate to the connection fee. Refer the insurer (again) to the notification letter that you sent to the insurer. If you can not find certain information, let the legal expenses insurer know. Ask them to possibly contact the Stichting Stadsverwarming Eindhoven. My legal expenses insurer asks me for permission to be included in a mailing list for all insured parties of this insurer. If I do not respond, it is assumed that I have no objection. What is your advice in this? We advise the legal expenses insurer to give permission to be included in the mailing list. My legal assistance insurer asks for a copy of the letter (from Essent) in which it is announced for the first time that a membership fee will be charged to me. How do I get that letter? Most residents with district heating who were living in Eindhoven at the end of 2011 received a letter from Essent around 9 December 2011. This letter stated that certain cost items within the framework of tariff transparency would henceforth be specified on the annual settlement, including the ‘connection fee’. If you came to live in Eindhoven later, you probably did not receive this letter. If you do not have the letter (anymore), inform the legal assistance insurer accordingly. Incidentally, it may be that in your case no connection fee will be charged. (This may be the case if you live in the neighborhoods Waterrijk and Meerrijk or if your home is part of the project Het Groene Hof in Grasrijk). You can check for yourself to what extent the connection fee will be charged. See next question. How can I check whether Ennatuurlijk is charging a membership fee? Why is the cost item ‘Connection contribution’ missing from the annual statement for 2011/2012 and older? Until 2012, the additional connection costs were not visible on the annual statement because these costs were ‘hidden’ in the standing fee. As of 2012, the additional connection costs for ‘tariff transparency’ are explicitly stated on the annual settlement with the description ‘Connection fee’. According to my legal assistance insurer, I am not insured for events that were foreseen when the insurance was taken out. Before taking out the insurance, I would already be familiar with the abuses surrounding the district heating system. How do you advise to deal with this? The reason for the district heating issue is in many cases the letter from Essent dated 9 December 2011 that most residents in Eindhoven received with district heating at the time. In that letter it was stated that certain cost items within the framework of tariff transparency would henceforth be further specified on the annual settlement. But then you could not reasonably yet know that Essent incorrectly charges costs. Perhaps you were not even the owner / tenant of a home with district heating in Eindhoven. Only after a limited number of residents had deepened in this complex matter did they come to the conclusion that Essent / Naturally incurs non-agreed costs. In the years that followed, all sorts of other misconduct related to district heating came to light. One example is the issue in which Ennatuurlijk erroneally charges rent for the heat exchanger since 2014. This issue was not discussed in 2014. Let the insurer know that after the call of 28 February 2016 you were only aware of the fact that the situation actually applied to you. Also indicate that various abuses only recently came to light. According to my legal assistance insurer (FBTO), the right to request assistance from my insurer if I do not report the dispute within 3 years after it arose. How to act? See answer above. Let the insurer know that after the call of 28 February 2016 you were only aware of the fact that the situation actually applied to you. Also indicate that various abuses only recently came to light. Should the insurer believe that the 3-year period has been exceeded, the insurer would point out that this is in no way prejudiced financially and it is therefore unreasonable not to deal with the case. I recently switched to another legal assistance insurer. The new insurer rejects the request because the matter was already running at the time that I was insured with my previous legal expenses insurer. How should I act now?